The Hairdressing Department of Templemore College of Further Education recently facilitated a workshop from one of their key suppliers Salon Services. Representatives from Salon Services, Louise Weston and Katie Egan gave a fantastic talk about their products and the techniques in retail selling in the hair and beauty industry. The students from Templemore College had a most enjoyable day and left the college with new skills and a good knowledge of the importance of retail in the hairdressing industry. 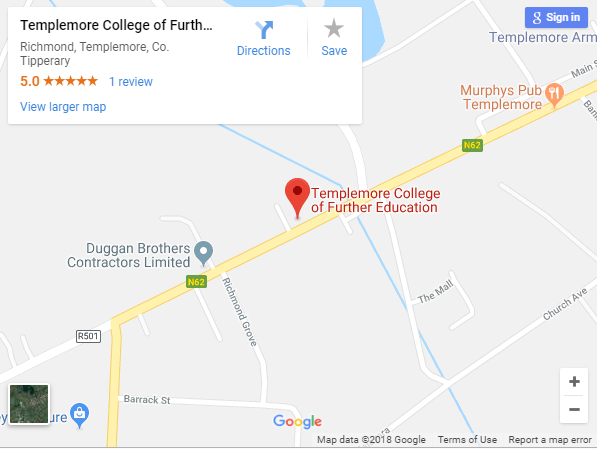 If you would like to learn more about the hairdressing course or other courses on offer at Templemore College please log on to www.tcfe.ie or www.facebook.com/TemplemoreCollege. TCFE Hairdressing and Beauty students with their teachers at the workshop.